Every business, whether small, mid size or large, strives for reaching the zenith. 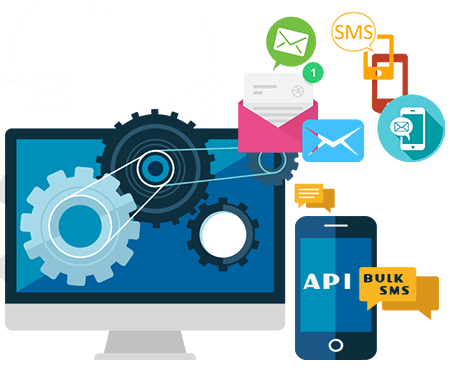 In the present times, when the entire world seems to be going online through Web Designing, Google Ad words, Bulk SMS, Bulk Email, Web Hosting, Reseller Hosting having website is a must for any business to reach out to maximum potential customers. In order for a large scale business to flourish you need to be constantly in touch with the masses. Bulk SMS is one of the easiest ways for sending any information to a large audience. All it takes is a click and you can have bulk messages delivered throughout the country in a matter of moments. Yes, Bulk Messaging Service is the solution to one’s marketing problems. We deal into all the modes of Mobile communication. Bulk SMS Service is the most popular because of its outstanding features. RAYS has dedicated towards developing the most user friendly & technically strong platform for the clients to use. Also its dedicated support team is ready to handle customer queries 12x7, to ensure customer receive the best possible support and service. We don’t consider external competition but consider our past achievements to raise our standards.